Valentine's day is upon us and it's all about the love. Whether you love it or hate it. Whether you are spending it with your beau, your bestie, your dog or a bubble bath and a bottle of wine, Valentines should be about showing a little love. Tell your loved ones how special they are, how much they mean to you, how awesome they are, spread a little love, even the smallest gesture can go a long way. But it's also a bit about you, love yourself do something a little bit special just for you. 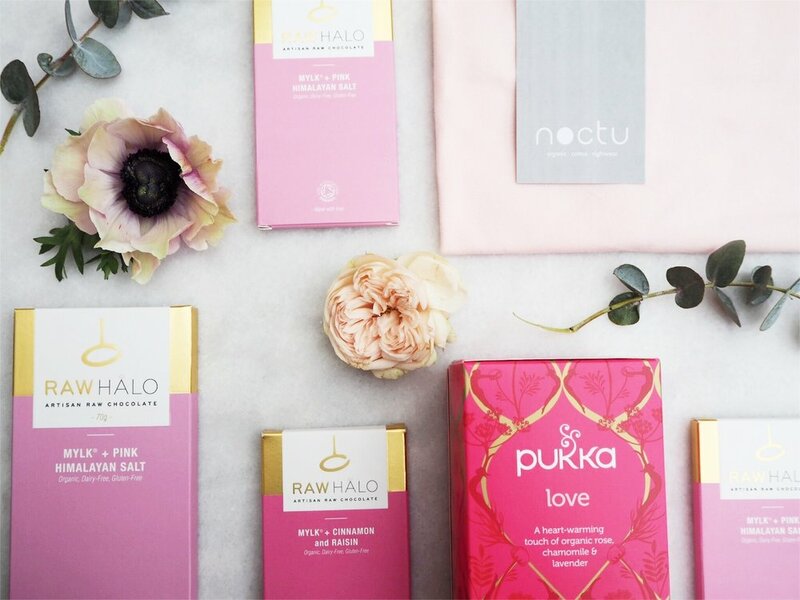 This year to show YOU the love, we have teamed up with our dear friends at Raw Halo and Pukka Teas to bring you a 'big bundle of organic love' , a noctu nightie to snuggle in, delicious chocolate to munch on, and heavenly Pukka tea to soothe your soul. AND every order made throughout Valentines week, will receive a bar of Raw Halo chocolate or a box of Pukka Love tea, just to say a big smoochy thank you! To enter the competition follow us on Instagram and like the post. The winner will be picked at random on 13/02/18- announced on the 14/02/18.